Over at The Pond, The Blonde Duck is getting high on pie. 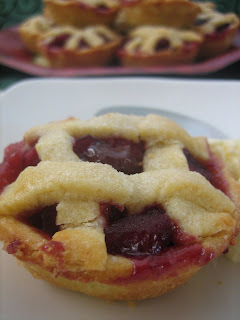 Yup, this piesty gal is dedicating this week to pies. I like the sound of the Peanut Butter Pie so I can't wait to make it. Duckie is also calling on her pond friends to send in recipes, pics, sweet memories and anything pie related, and if you do you might get chosen to be the Prince/Princess of Pie. How I'd love to be named Princess of Pie by Her Royal Pieness. This pie might take a long time but it's worth it. It's love at first bite! I used to make this pie a lot when I first got married so making this brought back lovely memories. 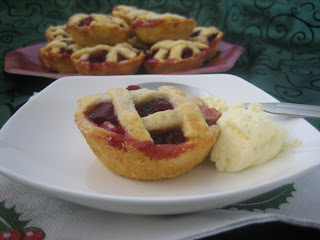 Here are little pies I made for christmas. I think i'll give up on the cartoons (for now). 1. Preheat oven to 180 degrees celcius. Brush a deep, 20cm round springform tin with melted butter or oil. Line base with paper; grease paper. Dust tin lighly with flour, shake off excess. 2. 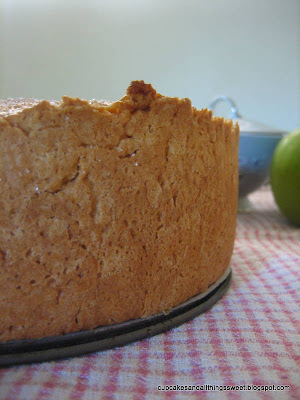 To make filling: Combine apples, lemon rind, cloves, cinnamon stick, water and sugar in large pan. Cover and simmer for 10 minutes or until apples are only just tender. Remove from heat, drain well. Discard rind, cloves and cinnamon stick. Set aside. 3. Place flours and butter in a food processor bowl; add sugar. Using pulse action, process for 15 seconds or until mixture has a fine, crumbly texture. Add egg and almost all the milk; process for another 15 seconds until mixture comes together, add more liquid if necessary. Turn dough onto a lightly floured surface; knead for 2 minutes or until smooth. Store, covered in plastic wrap, in refrigerator for 15 minutes. 4. Roll two-thirds of the pastry between 2 sheets of plastic wrap until large enough to cover base and side of tin. 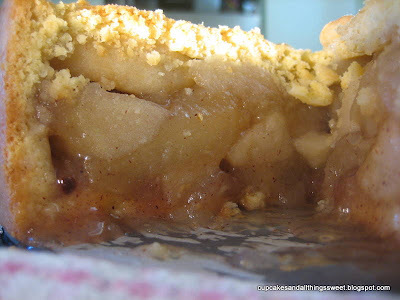 Carefully spoon apple into pie shell. 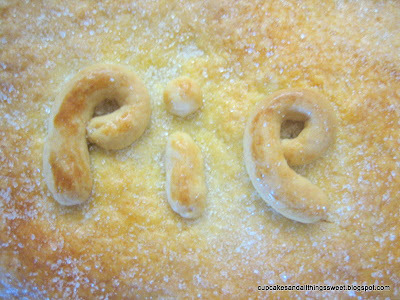 Roll remaing pastry into a cirle large enough to cover top of pie. Brush pastry edge with a little of the extra beaten egg to seal. Trim excess pastry with a sharp knife and press around edge with a fork; brush top of pie with beaten egg. Bake for 50 minutes or until pastry is golden and cooked through. Leave pie in tin for 10 minutes before removing to a serving plate. 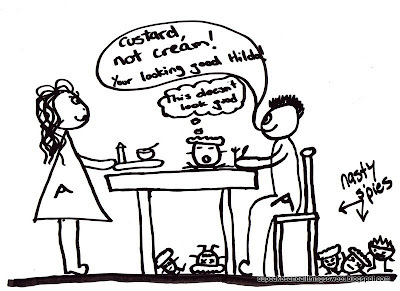 Serve hot or cold with cream, ice-cream or custard. Girl, you've outdone yourself. I think you might be the Queen of Pies. I humbly bow to you. Pie for breakfast? You're my hero. I now need pie. It's 7.58am and I don't know where I can get one! that pie looks absolutely delicious!! 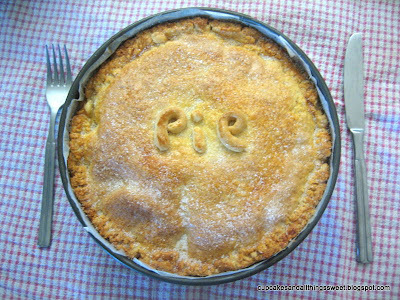 Wow, pie looks perfect and juicy.